Commercial Carpet Cleaning Perth | Alpine Carpet Cleaning. Since 1998. At Alpine Commercial Carpet Cleaning, we are the experts in working with corporate and commercial clients, to ensure your carpets are transformed from dull & dirty, to bright & clean! Commercial carpet cleaning that makes a difference! Carpets are where most of the ‘hidden’ dirt stays trapped in an office & small business environment. This dirt and bacteria accumulates over time and can cause problems for any staff suffering from asthma, and other respiratory or skin allergies. To look after your carpets and your staff’s wellbeing, daily vacuuming is important, however, it is critical that a professional steam clean should be performed regularly to remove stains and ground-in dirt. Ideally, carpets should be deep steam cleaned at least every 6 months. 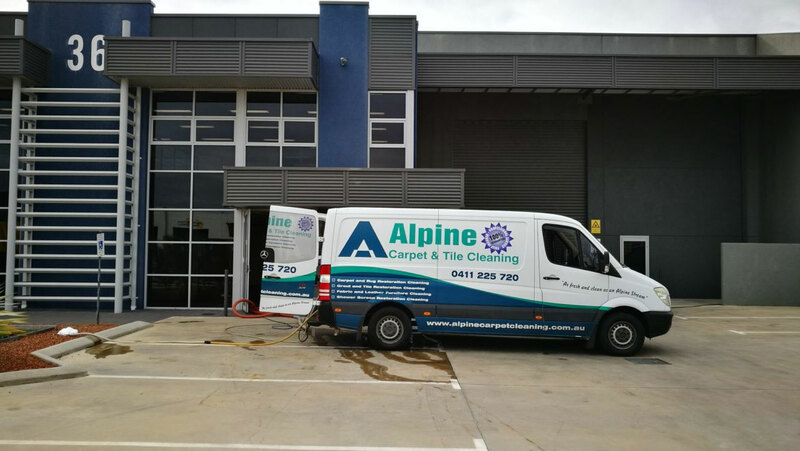 Alpine Commercial Carpet Cleaning has been offering specialist commercial carpet cleaning services in the Northern Suburbs of Perth since 1998, delivering premium quality results each and every time. 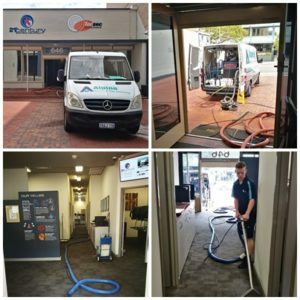 When you call our experienced commercial carpet cleaning business, we guarantee your carpets will come up looking and smelling great, due to our specialist truck mounted steam cleaning equipment and processes. Initially, we inspect the carpet areas for any major problems. Then we pre-treat all spots and stains (grease, oil, etc.,) with our specialist stain treatments, removing them as we go. We then use a commercial grade bio-degradable pre-spray which softens and emulsifies the soiling suspending it in a solution between the fibres, ready to be extracted. For deeper inground soiling we will agitate the fibres of the carpet using a commercial rotary scrubbing machine. The ingrained dirt is extracted from deep within the carpet fibres, so they not only look but feel softer and cleaner. This is the recommended method by the Australian Standards AS 3733—1990, and really is the best way to remove dirt from all carpet types. Your carpets will normally be ready to walk on afterwards in a few hours. We specialise in cleaning all commercial properties like offices, retail outlets, clubs, dance studios and industrial spaces. For your convenience, our staff will assist with moving all possible furniture before and after carpet cleaning. We can also offer tile & grout cleaning and furniture cleaning too, so your premises will be in tip top condition. Our professional commercial cleaning staff have the experience and expertise that ensures your complete satisfaction with our services. You can rest assured that Alpine Commercial Carpet Cleaning will get the job done right, the first time, and every time. What is a truck-mounted cleaning system? Truck mounted systems rule! They are self-contained and extremely powerful. These machines produce high levels of heat, normally 90C+ degrees. Combined with unparalleled vacuuming power, your carpet will receive the deepest sanitising clean on the market, guaranteed!